For a project I was working on I had to generate some documents on the server. Not wanting to install Microsoft Word on the server because, well let’s not go there, I’ll have to use bad words; I decided to use Open XML. I started a little C# project to see how this stuff works. At first you frown a little, some cursing and yelling occur; maybe you shed some tears because some simple things turn out to be not that simple, like setting a Picture Content Control. Normally you just fire up Google and look for examples. I did that just that but sadly all examples did something but not just what I wanted: setting multiple Picture Content Controls by Tag name. I found this blog post of Erik White but that code changed all picture content controls when you changed one. That’s because initially a Picture Content Control has some resource Id that points to the same (‘blank’) image in the resources of your document. In another thread some guy Jinesh replied with some code that almost did what I wanted. I used that and added some of my magic to solve this should-be-simple-it’s-2012 problem. Ok let’s start; first add some using statements and, to prevent some ambiguous (*sigh*) classes, add some aliases. In this example I’ll use a Bitmap object, this enables me to resize the placeholder using the image dimensions. First I’ll use the Tag name to select the element containing the Picture Content Control, which is a block element. Then I’ll get the Blip element which has a reference to the picture. // Find the Blip element of the content control. The next step is to load the image into the document and assign the resource Id of that image to the Blip.Embed property. // Add image and change embeded id. Yes, it’s that simple. You’ve probably seen a lot of different, not working, solutions on the web which had a lot more code. Now the code for the resizing, I suspect there should be an easier way, but for now this will do. Deploy the solution from visual studio to your SharePoint site. Add the workflow to a list (DemoWorkflow.nwf). Create a custom one, doesn’t matter, just so you can start the workflow on a list item. Edit the script (nintex.contenttype.bat) to set the correct SharePoint URL, and run it. Start the workflow on a list item, and check the Workflow Tasks list. If everything went right you should have a task here, and when you click it you will see the custom form show a dynamic loaded user control with a link to my wonderful blog. You can download the solution here. Well, because you want more. Nintex workflow already supports InfoPath or Nintex Forms, but in my opinion tools like this will always have limits the moment you want something more than just editing and validating user input. Sometimes you just want the flexibility of ASP.Net. 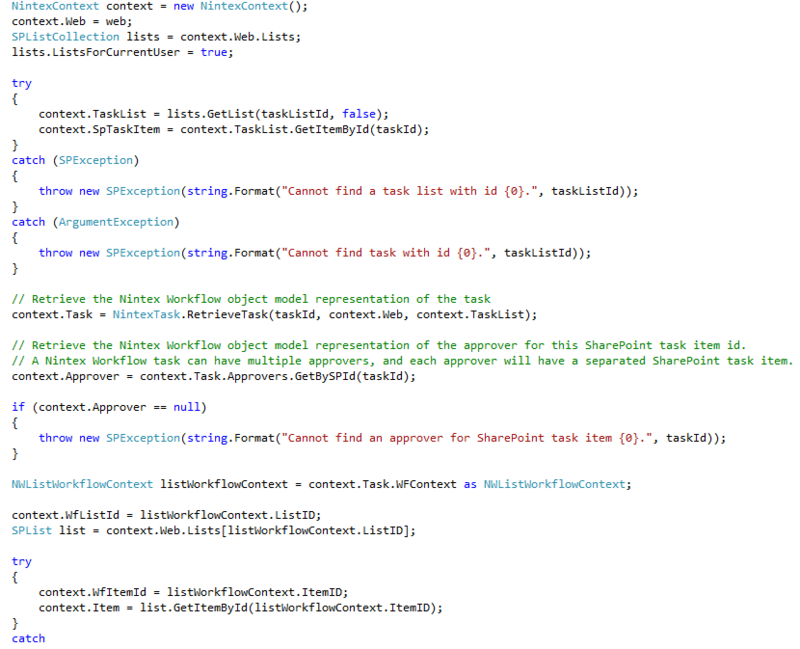 There is an example of a custom task from in the Nintex SDK. I stripped that example, so that I can use my own forms and handling of tasks. The way this works is that if you want to use a custom application page to handle a Nintex task, you create a content type based on the Nintex Content Types, associate this content type with an custom application page, and to use this in the workflow set the content type of one of the Request actions in the Nintex Workflow. Go to site settings and add the content type. See image for the correct settings. An example solution will be added to the blog later on. Add an application page to a SharePoint solution, reference the Nintex assemblies and inherit the page from ‘Nintex.Workflow.ServerControls.NintexLayoutsBase’. Runtime two parameters will be interesting to use, these are task list id and task list item id. In my example I have a helper to use these parameters to create a context object containing objects relevant to the workflow, task, list, list item etc. Finally, we must tell the workflow action to use the custom content type so that when the user opens the task, our page is shown. Select the correct action you want to use, and set the Task content type. Publish the workflow and you’re done. Currently I’m working on a system that needs to convert different bulk files into single messages. 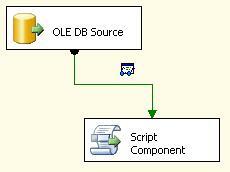 We want to use SSIS to import the files, transform the records into xml messages and send those messages to BizTalk. I’m new to SSIS so I decided to do some little ‘Proof of Concepts’. 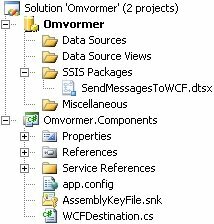 This post is about calling a (WCF) Service from the Data Flow. I created a new solution, added an Integration Services project and a Class Library to hold the code. Using a library to hold the code has several advantages, like maintainability and of course write code in C#. The Script Components use Visual Basic for Applications, that’s bad enough. Anyhow, I now add a Data Source and a Script Component, type Destination, to the Data Flow. Ok that’s it! Feel free to comment, correct me or whatever you can’t resist to post.